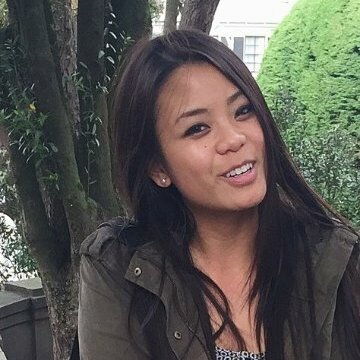 After years of going through multiple rounds of product management interviews, landing multiple product management job offers, and coaching dozens of candidates on how to break into product management, I wanted to make sure that no one else had to go through the painful experience that I went through to land my first product job. Since launch, One Week PM has helped 1000+ students around the world learn the most important fundamentals of product management and the insider strategies towards dominating interviews to land a product manager job. "I've compiled everything that I've learned into this course to help put you on the fast track towards learning about product management, creating your own side project, and landing your first product management job." 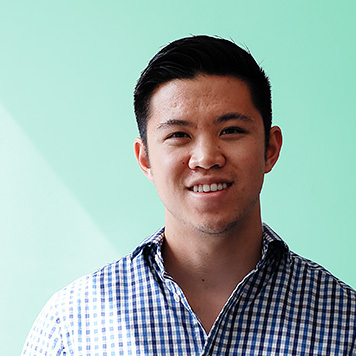 - Kevin C., One Week PM Student who now works as a Facebook Product Manager. The One Week PM course will arm you with everything you need to know from: learning the essential fundamentals of product management, creating your own PM project, and dominating your product management interviews. Day 7: The most important frameworks and methods for answering the most popular PM interview questions and the insider tips to standing out as a candidate. 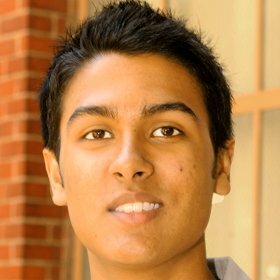 Walkthroughs of real case studies used to land product management job offers. Unlike other courses that just throw information at you, this course is highly interactive and every day, you'll apply the fundamentals that you've learned to your own PM project so that at the end of the course week, you'll have your own project to talk about during your PM interviews. After the course, you'll also receive access to join the world's largest Product Manager community on Slack where you can meet, chat with, and learn from thousands of PMs from all over the world. How Are Other Students Liking the Course? 1000+ students with diverse backgrounds in social enterprises, law, finance, accounting, IT, consulting, engineering, design, and undergrad / MBA programs have already enrolled in the course from all around the world. Over 70+ lectures, 6+ hours of content, 5+ downloadable PM templates, and exclusive interviews (more added over time) with product managers and product leaders in the industry! Apply fundamentals learned from this course to your own PM project every day! Access to downloadable templates used by actual Product Managers on the job! Learn the process of answering the most popular PM interview questions in order to stand out as a PM candidate! Access to exclusive video and audio interviews with product managers and product leaders about product management topics, day-to-day breakdowns of their role, insider interview tips, and walkthroughs of popular interview questions and answers. 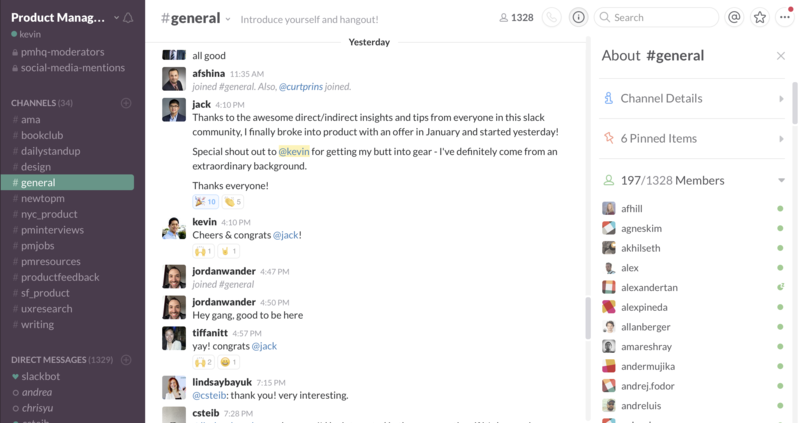 Access to the world's first and largest Product Manager Slack community where you can meet, chat with, and learn from over 7,000+ product people around the globe. The community also features the world's top product leaders like Ken Norton (Product Partner, Google Ventures), Punit Soni (Chief Product Officer of Flipkart & Advisor to Google), Josh Elman (Partner at Greylock Partners), Ellen Chisa (VP of Product at Lola), Brandon Chu (Senior Product Manager at Shopify), Lulu Cheng (Product Manager at Pinterest), Jess Lee (Former CEO of Polyvore), Nir Eyal (Author of Hooked), and others in our community for regular Q&A sessions. I have been 100% committed to adding more BONUS course content and interviews with product leaders over time (I love all things product and highly enjoy adding content!) and you'll get FREE LIFETIME ACCESS to all future content! Kevin Lee is the founder of Product Manager HQ, the web's leading resource for helping thousands of people around the world learn how to break into product management. Product Manager HQ has been featured across the web in Forbes, Huffington Post, Product Hunt, Medium, Mattermark, Drift, UXPin, and many others. Sponsors have included companies like Facebook, Hired, Amplitude, UserVoice, ProductPlan, Notion, TechCrunch, SaaStr, Hack Reactor, etc... Product Manager HQ has also been listed as a 2015 / 2016 / 2017 Top Influencer in Product Management (www.pmyearinreview.com). Kevin has previously worked in Product at AltSchool (backed by Andreessen Horowitz, Founders Fund, First Round Capital, Mark Zuckerberg, John Doerr and other exceptional investors). Previously, he was a Senior Product Manager at Kabam, where he worked on products through all lifecycles in San Francisco, Vancouver, and Beijing and helped grow one of the company's products to become the third largest revenue generating product in the company portfolio. In a former life, he worked in Technology Investment Banking at Merrill Lynch. He is also the author / co-author on 10+ gaming patents. His teaching experience spans lecturing at UC Berkeley, mentoring / coaching visiting entrepreneurs at the Haas School of Business, and teaching at Product School, a 10 week product management course for software engineers. He has also advised startups at FactoryX, run by GoogleX co-founder Tom Chi. His writing has been featured in Inc. and he is the co-author of an Amazon best-selling book about Quora (Featured as #1 on Product Hunt Books). In his spare time, he has previously been involved in the non-profit space, as a Director of Business Development at Bayes Impact (a Y-Combinator backed non-profit deploying data science teams to work on social/civic issues) and on the Board of Directors of the SF Creative Arts Charter School and early literacy non-profit, Tandem. Product Management is one of the most in-demand roles in the market right now with thousands of job listings worldwide. The average Product Manager salary is $104,000 and Product Management jobs are estimated to grow at a rate of 10-15% over the next decade. Don't make the same mistakes I did when I started out because the opportunity cost of wasting time is way too high! The price of this course WILL INCREASE once more content is added but if you enroll in the course today, you'll get FREE LIFETIME ACCESS to all of the current and future content. Additionally, you'll get 1 hour of 1:1 mentorship time. You'll get 1 full hour where I'll review your resume, discuss any product management topics you want, and help you plan out your recruiting strategy. This course is intentionally structured so it can be completed over the course of just 1 week. It is a completely self-paced online course - you decide when you start and when you finish, but I highly encourage you to complete at least 1 lesson a day so that you can finish the course at the end of the week. How does lifetime access sound? As mentioned before, I am 100% committed towards adding even more bonus content (I love all things product and enjoy adding content!) as well as bonus interviews with awesome product leaders. After enrolling, you will have FREE LIFETIME ACCESS to all of it for as long as you like - across any and all devices you own. Making this investment to take this course now will be worth hundreds of thousands of dollars over the course of your career. 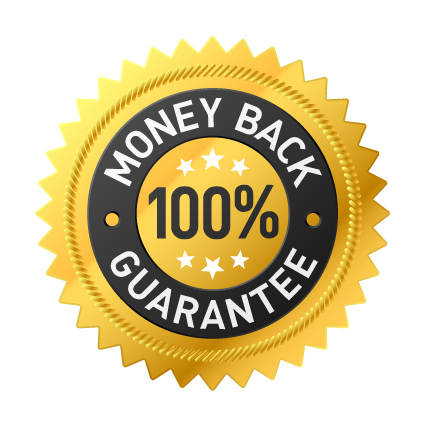 If you aren't comfortable with the value you are getting, we always offer a 30-day 100% money back guarantee.